1. 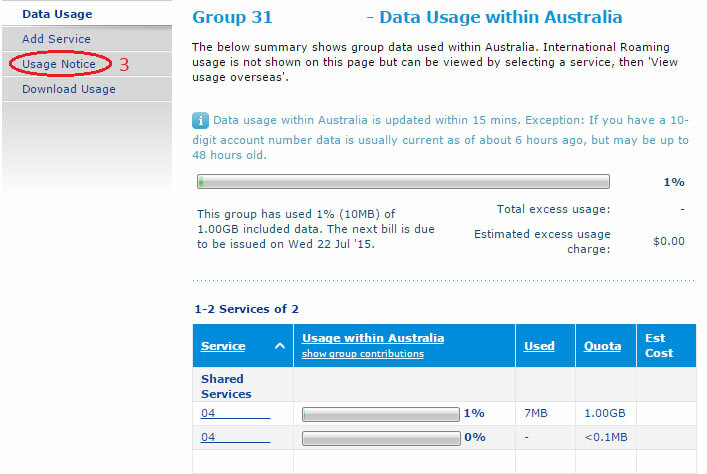 Log in to Your Telstra Tools. If you are not registered, you can create a login here. 2. From the Your Telstra Tools homepage, navigate to the Services tab and click "Mobile and mobile broadband". 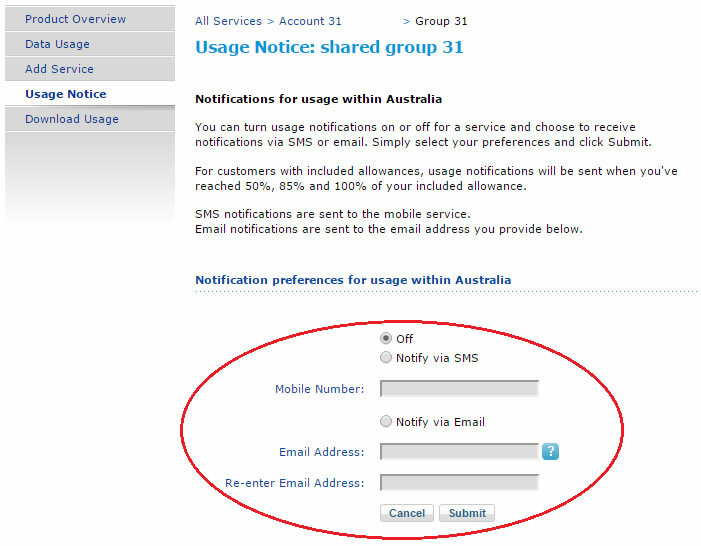 Note: The default settings have Group Usage Messages switched off. 1. 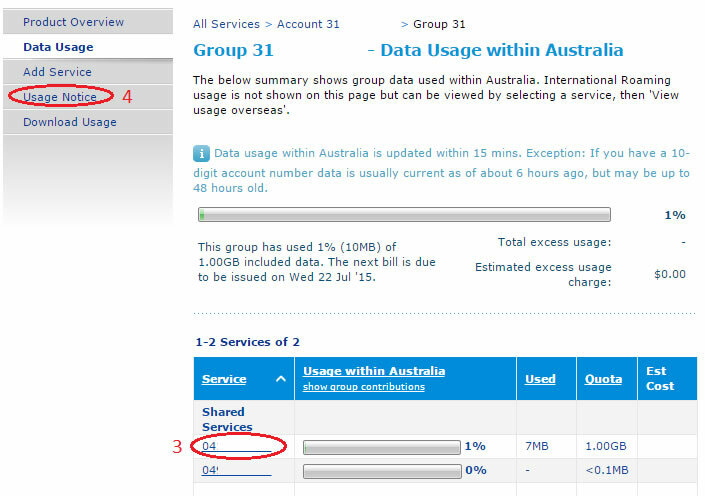 Select Data Usage on the left to bring up a list of all shared services. 2. Select the group account you want to configure. 3. Select Usage Notice on the left. 4. 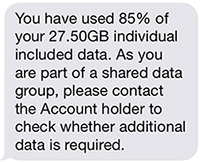 Here you can nominate the mobile number to receive group data usage messages. You also have the option to send group data messages to an e-mail address or to switch them off. Note: The standard delay of 6-48 hours still apply to these notifications. Note: The default settings have Individual Service Usage Messages switched on and sent via SMS. 2. Select the group account that contains the service you want to configure. 3. Select the mobile from the list that requires modification (see below). 4. After the screen refreshes and displays its individual mobile usage, select Usage Notice on the left. 5. You will then see and be able to configure the usage notification options for that single mobile service.